Custom Printed Lanyards - Lowest Prices Guaranteed! Are you in need of the highest quality, personalised printed lanyards that are available on the market today? If so, you’ve come to the right place. Our reputation as the premier supplier of personalised lanyards is something that we’ve rightly earned and are extremely proud of. Providing value for money to our customers is something that we’re very passionate about which is why we strive to ensure that our prices are kept low and competitive. 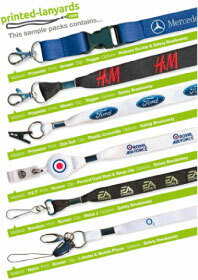 In fact, our printed lanyards are so cost effective that our prices will not be beaten. But, unlike other companies, we don’t just say our prices are low – we actually reinforce it – so, if you happen to find a printed lanyards cheaper than what we offer, we promise to beat that price. Utilising the features on our easy-to-navigate site is by far the simplest way of designing and ordering the perfect printed lanyard for your specific needs. Forget confusing and irrelevant steps as you can design your printed lanyards with just a few clicks using our online system. You tell us the colour, size, design and clip type that you want and we’ll design a printed lanyards for you that caters to your exact specifications – it’s that simple. Have a company logo or some artwork that you want on your printed lanyards? We can do that for you! So, whether you’re in need of high quality printed lanyards for an event, for security or for promotional purposes, be sure to get the highest quality pieces at the most affordable prices by ordering with us today. Choosing printed-lanyards.com as your printed lanyard supplier doesn’t just mean that you’ll get competitive prices and quality products, it also means that you’ll be assured of receiving an exceptional level of customer service. The work that our dedicated team of professionals do has enabled us to build up a very impressive portfolio of high profile and satisfied clients including DHL, Ford and EA Games among some other trusted names. For an incomparable personalised service and the highest quality customised lanyards that are made using grade A materials, you can make an order with us today and have it delivered to you within 7 days via express delivery. Whether it's one, two, three or four colour print - we can do it. We match your corporate colours with Pantone® colour matching.